I spent the day peacefully alone in my kitchen from the time my family left this morning until dinner was placed on the table. I baked loaves of bread, a pan of rolls, and slowly made an old fashioned strawberry cream pie from a favorite book. I prepared an inexpensive, yet fantastic split pea and bacon soup, packed Clara’s lunch for tomorrow, and quickly threw together these peanut butter celery sticks for an after school snack. When I’m by myself in the kitchen my mind wanders all over the place. Most of my thoughts involve food and society typically. Or more selfish things, like wondering if I’m throwing away a creative paying career while I work on my full time mom and wife skills. Finally sick of thinking to myself (or perhaps about myself), I turned on the television for some company. Sandra Lee popped on, making rolls of sorts with store bought pizza dough. I didn’t even realize I could buy pizza dough like that! I’ve always made it at home. Sandra Lee got me thinking. Is all I do really necessary? Would it be so wrong if I added stuff together from the store to make dinner? I do think Sandra has some neat ideas. After watching her for awhile I realized that for me, using a product for fun occasionally is fine, but it doesn’t help me reach my long term goals. I want my daughter to deeply understand that bread, pizza, rolls, pies, and meals come from a family kitchen, not just from a store or restaurant. I want her to learn that baking and cooking from scratch is fun, easy and better for her in the long run. I want her to know what food is and what it is not, and to be able to appreciate something as simple as celery with peanut butter and a few raisins. So I guess I’ll keep plugging away, although I seem to be going at a much slower pace than the rest of the world. My job here isn’t finished and I better get my backside in gear. Maybe I’ll still have time to work on that exciting career later on. I’ll take a couple of these over scary looking dyed "yogurt" sticks any day! Clean, dry and slice the celery into 3 or 4 inch pieces. Use a tip 1A and attach to a disposable pastry bag. Fill with some peanut butter and pipe onto the celery using a figure eight motion, first push back slightly, then forward a half inch, then back again a bit, and repeat until the pattern is completed on the celery. Repeat with remaining celery sticks and top with raisins. Recipe by every parent who’s ever had a peanut butter loving child. Picture by Laura Flowers. I've seen these before on a kids' TV show! Yours look so much cuter, though!! Laura, you're doing a fabulous job as a mum! I completely relate to this post. Often I second guess the reasons I stay home and whether making food from scratch is really just my stubborn streak displaying itself. But when I see the kids actually enjoying all manner of fruit, veg and herbs (eg: brussels sprouts and coriander) I'm reminded that what I do is pretty important, even if others may not see it that way. You're actually right in the groove with the growing big shift to slow life! Have you seen this blog, slow love life? And one of my daughters is an artist, a print- and book-maker; slow in her community is a good thing! Here's her friend's website, Slow Industries. I aspire to a slower life - I think people are tired of racing around and blindly consuming. Taking the time to make, and value the making, that's the thing. I stayed at home when my three children were young, and they all grew up to love and value making their food, making cozy homes. And while I can't take the credit for her great artistic ability, my one artist daughter credits our slower-paced making life as an important factor in her own grown-up artist's life. There is always time later. I completely agree with your beliefs on food :-) I certainly wish my mom taught me similar values! I ate so much junk food during my childhood/teenage years that I'm finally coming to realize the value of good honest fresh foods made from scratch. Keep up the good work!! I do appreciate the convenious of buying store bought items but part of me want to learn how to make it by scratch. I guess I wanted to see if I could do it. I completely understand your goals and I hope to influence my daughter the appreciation of food. 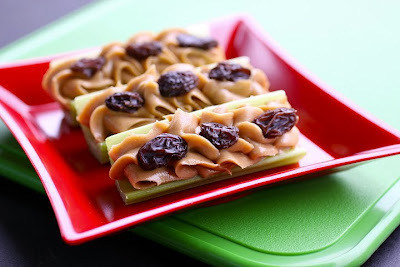 Ants on the log was my favorite snack as a child and it was the only way I would eat celery. It just brings me back. Hi, I haven't commented on your blog before, but have been reading it for a few months. I used to live in your town (nearly 20 years ago now), and my kids were small then (1, 3, and 5), so a lot of what you write about resonates with me. When I lived there I was a stay-at-home mom, and I used to wonder the same things you wrote about in this post. It is hard to see the longer view sometimes, and sometimes I think we all question whether we are doing the right thing -- whether we are at home or not. When I got divorced when my kids were 3, 5, and 7, and had to put them in daycare and go back to an office job, I worried about their wellbeing. They have turned out great, and the oldest two remember when I was home with them, but they have told me that all their experiences have been valuable. I hope I'm making sense here. Things are never perfect, and are always a balancing job between our own needs and the needs of our kids and family. I recently read a quotation by Gail Sheehy which was, "Women have long lives with many seasons." It helped me reconcile a lot of the guilt I had felt all those years: first questioning whether I was neglecting my own career, then whether I was hurting my children by having to return to working outside the home. This is one of your seasons and, like all seasons, it has beauties, hardships, and values all its own. You will undoubtedly have more seasons to come, and I know from your writing you will find ways to cherish them all. Best wishes! Love the piping of peanut butter!!! I usually just smear it on quickly because I want my snack asap! This is one snack we all love! Love the photo! This really brought back memories. I used to eat ants on a log as a child (of course yours are much prettier). It's funny, I tend to spend free time leisurely in the kitchen as well (I get so little of it though). I agree with you about Sandra Lee. Some of her ideas are good but a lot of the processed foods are not that great for you unless it's a special occasion. I try to involve my daughter with cooking as much as possible as well but when it comes to daydreaming I'm the opposite. While I'm stuck in my cubicle I think about how I would love to stay home for a while and do something that really means something on the side and later try and create a full time position with cooking/nutrition/fitness. @ NWmom thank-you for your comment! It was nice to read. @ Lori. I had no idea there was a movement like this. I felt it obviously as more of us are slowing down, even after paying for too much education lol! @ Everyone. Thank-you for the heartfelt comments. They are so nice to read. One of my favorite quotes is, "To be a good father and mother requires that the parents defer many of their own needs and desires in favor of the needs of their children. " I like that it says we have to DEFER which means at some point, we get to pick it up again later. I felt the same way when i realized i couldn't just sit around and paint for hours on end. So now i just paint with my kids, and do small projects, and cook cook cook. it's a good creative outlet! you're a great mom. Sandra Lee made it cool to improvise! The only think I do not like is now and again you get a pizza crust with lots of holes in it, and you cannot glue it back together, lol, so I tell hubby its a 'pizza holy day', ha, get it,lol! Okay whats worse laughing at your own jokes or talking to yourself? Plus, those drinks and tablescapes are tacky! When did we start calling tables, tablescapes? Wouldn't that mean that everything we behold is a 'scape of some kind? I'm sitting in front of my computer at my desk-scape and my phonescape is ringing. And your recipe for Ants on a Logscape looks divine. POD I can't stop LAUGHING! Lol Chef E! You need your own show. And POD's comment was rather darn funny. Ants on a log are great, if I could just get my kids to eat the log! Laura, I love you!!! Hang in there. Enjoy your kids while you have them to feed and teach and all the things mothers have to do and get to do. It's worth it. I love your ants on a log. I love that you sent Sandra Lee's ideas shooting back into the TV. Good for you and even better for your daughter. Did I say I love you? I work full time and am conflicted about it. I love my job and love getting out of the house, but I hate not spending more time with my 17 month old. When I am home we play together and read books. I cook just about every night and he eats healthy meals made from scratch. It's a good thing to do. You are teaching your kids to eat right, to not be afraid of new flavors, and teaching them skills when they grow up. The time in the kitchen for me is my time. Like my drive to and from work, it's my alone time. My hubby plays with my son while I'm cooking or experimenting on new things in the kitchen. It's a great way to unwind and let your creativity out. Believe me Laura, someday your daughter will appreciate all that you are now doing, for all the reasons you listed and then some!!! Back in the late 80's I stepped out of the rat race to be a stay at home mom. I have no regrets. I do get a big kick when I hear my teenagers friends brag about the home cooked they eat at our house to their families. So more than just my kids benefit from eating healthy non processed foods. I completely agree with you that it's okay to use some convenience products and even the most devoted DIY relies on certain sauces, dried, pasta, and other staples not made by her hands. Still, if I ever have kids, I would definitely want the same as you, for them to understand the beauty of food and cooking and its vital importance to our lives. I'm glad you shared this snack and love the piped PB. So sweet. I'm 25 and I still love ants on a log...I was definitely one of those peanut butter loving kids and am a peanut butter loving adult! I love the concepts you're teaching your daughter. If more people taught their children these life lessons, I feel it would make a dent in the obesity problems. Many people don't know where their food is coming from or what's in it (ie: folks on the show Jamie Oliver's Food Revolution). If kids had some idea of what whole, real food was, they could make better choices! Your efforts are worth it because you aren't plugging your child with preservatives found in those ready-made products. So we're way behind on commenting - and you have so many great posts! You made this simple snack look so lovely. Especially the peanut butter! Can't wait to see it after you've "twigged" it.